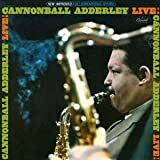 I believe this is the final Cannonball Adderley recording with Yusef Lateef. During his almost 2 years with the group, Yusef had a major impact on the group's music, adding a sense of depth and gravitas that wasn't always there prior to his arrival. The first half of this CD is very nice, but the album really clicks on the last three tracks. "Come Sunday" is given a beautiful reading primarily focusing on Joe Zawinul's piano and Sam Jones's bass. "Brother John", a Lateef composition, is a powerful tribute to the mighty John Coltrane, with Lateef's oboe playing consciously echoing Trane's soprano (which in turn was influenced by South Asian oboe-like reed instruments). There's some fine, adventurous playing by Cannonball, Nat and Joe on this great tune - the best performance on the CD. Finally, the album closes with "Work Song"; I haven't heard any live performances of this tune by the Cannonball group that were less than exciting. 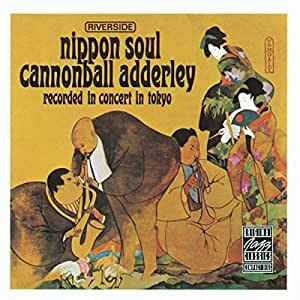 I think Cannonball in Europe is overall a better album, but if you like this group I recommend Nippon Soul wholeheartedly. 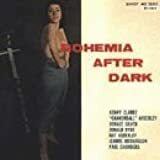 Each selection on this CD was exceptional. Cannonball was again at the top of his game on alto. For a star, he sometimes appeared a bit too unselfish in his solos. 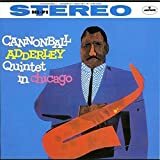 His brother Nat Adderley's hard charging style was always the perfect compliment to Cannonball. Yusef Lateef was simply brilliant. He truly made this sextet a special band particularly on the track Brother John. Joe Zawinul's "Come Sunday" was a slow beautiful melody. Cannonball's rhythm section of Louis Hayes and Sam Jones was one of the finest of this period. This CD had a good mix of up tempo tunes and soulful melodies. I have heard several versions of "Work Song", but this particular horn arrangement by Nat Adderley made this my favorite. The only reason this CD is not a 5 star is because of the sound quality. Cannoball's song introductions are barely audible at times. 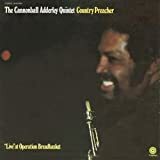 For first time listeners to the great Cannoball Adderley, I would still recommend this CD. Very pleased with my purchase. The CD was in mint condition and it arrived on time with no problems. Nice work! Japan, 1963. President John F. Kennedy in the White House, 3 nuclear submarines and me, in Japan! Japan of 1963 was under massive construction heading toward the 18th Olympiad in Tokyo, the fall of 1964, but in this year, 1963, Japan was full of, among many other things, the first James Bond film released in Yokohama where I saw Dr. No, and several jazz artists arriving at Sankei Hall, Tokyo. By reading the magazine This Week In Tokyo I could keep up with all the groups arriving in the land of the Rising Sun who played Tokyo. Three groups stand out in fact and memory, and all 3 were outstanding. 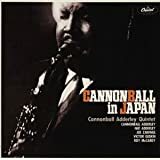 In order of their appearance in Nippon were Thelonious Monk (May, 1963), Cannonball Adderley (July, 1963) and The Dave Brubeck Quartet (July, 1964, so as you can easily see Thelonious Monk was the first of these three groups to record his performances at Sankei Hall, Tokyo, Japan. And albums eventually were issued by these three groups to celebrate and commercially commemorate their tours. In fact, only Monk and Adderley actually recorded there at Sankei Hall, for Brubeck's album, most unfortunately was later put together from strickly studio recordings. Though many of these groups from the above mentioned to Peter, Paul, and Mary, would tour Japan, most started their tours on the Kanto Plain, in Tokyo at the Sankei Hall. The hall then as now has great accoustics leading to great recordings, and the Japanese then, as now, were avid jazz fans. 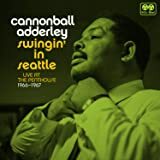 This present album is a very good addition to the Cannonball Adderley music library he left us. I listen to album frequently, with only one reservation, the only song included that pertains to Japan proper is Nippon Soul. All the remaining music is all Adderley's standard music available on his other albums. The music was, however, recorded in Tokyo at Sankei Hall and for that the CD does qualify as bonfide "nippon soul". As I recall all of the Adderley performances were sold out, with scalper's prices very high. But in the days I lived in Yokohama, the exchange rate was 360 yen to each dollar, so our greenbacks would buy approxinately 3.6 times what it does today. When I read the costs prevailing in Japan today, I have trouble taking them in, there were no western fast food there in 1963, the only thing I saw was 6 ounce Coca Cola in clear bottles. So when I hear what a trip to McDonalds in Japan in today's yen can cost, it is nearly unbelievable. Though we were unaware at the time in 1963, we were so fortunate as those days are gone forever. 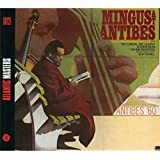 This album is not one of Adderley's better selling albums, but should a jazz lover listen to it, they will come under its spell. For it is truly a work of historical persepective from history, it is now over 40 years since I left Japan and this album was recorded.